BOOK DIRECT & SAVE! 2 cozy cabins on the Sol Duc River in Forks, WA, near Olympic National Park, Hoh Rain Forest, LaPush, fishing, hiking, kayaking, beaches & Twilight! Updated appliances, including laundry facilities. This monthly rental sleeps 2-4. On the edge of uptown Port Townsend near beaches and golfing. Private sea-side porches accent these cozy, secluded cottages. Full kitchens and down comforters. Visit this beautiful lavender farm and gourmet café. Rent one of the quaint cabins or book the farm for your wedding. Ocean views and fragrant breezes. "Like waking from a dream." Such is the view when you open your eyes in the morning. And, truly at the footsteps of the Park. Read the reviews! Over 14 Vacation Rentals situated around Pacific Beach and Moclips. Many rentals on the west coast Oceanside. Convenient to the Park, too! 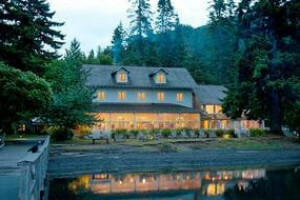 3 Bedroom vacation rental on the eastern shore of the Olympic Peninsula. Located in a quiet neighborhood just 10 minutes to Port Townsend, 1 hour to Olympic Park, choose from a 1-bed, 2-bed, or 3-bed unit. Free wifi, BBQ, deck, and garden.